Comfortable villa "Casa Jacaranda V4", renovated in 2012. On the outskirts, in a sunny position, 4 km from the sea, 4 km from the beach. Private: swimming pool (4 x 9 m, 01.01.-31.12.). In the house: air conditioning. Parking at the house. Shop,.. Comfortable villa "Casa Madeira V6", renovated in 2012. On the outskirts, in a sunny position, 4 km from the sea, 4 km from the beach. Private: swimming pool (4 x 9 m, 01.01.-31.12.). In the house: air conditioning. Parking at the house. Shop,..
Fonte de Louzeiros 15 km from Armação de Pêra: Country house "Casa Teixeira", built in 2006. Estaçao de Alcantarilha, on the outskirts, 15 km from the sea, south facing position. Private: property (fenced), garden with 400..
Lagoa 5 km from Carvoeiro: Simple, comfortable villa "Casa Urzais", built in 1993. Outside the resort, in a sunny position, 4 km from the sea, 4 km from the beach. Private: property 1'600 m2 (fenced), garden 650 m2 (fenced), swimming pool (9.. 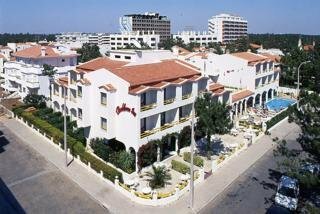 The hotel is located just 120 metres from the pristine Monte Gordo Beach, and 300 metres from the town centre, with its numerous shops, cafés and restaurants, and nightclubs. There are public transportation links just 200 metres from the hotel. Attractions..
Castelhanos 15 km from Monte Gordo: Comfortable country house "Casas do Palheiro Velho V5", renovated in 2010. 3 km from the centre of Castro Marim, on the outskirts, in a sunny, elevated position, 10 km from the sea, 10 km from the beach. Private:.. Located in Praia da Rocha, Portimão, Castelos da Rocha offers apartments with the beach at a 7-minute walk. Guests have access to a tennis court and an outdoor shared swimming pool.There are apartments and studios, and some are duplexes. All apartments..
General Description: Castelos Da Rocha in Praia da Rocha distributed across 3 buildings, spread over 5 floors and has 50 rooms. The hotel is located 150 m from the sandy beach. The closest cities to the hotel are Lagos (25 km) and Carvoeiro (20 km). 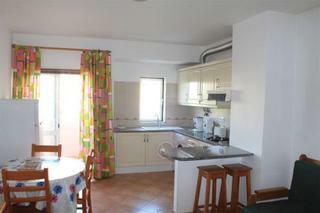 To..
Albufeira: Child friendly, comfortable apartment block "Cerro Malpique T0". On a slope, excellent location: right in the centre but still quiet, 900 m from the sea, on the beach. For shared use: swimming pool (01.04.-30.10.). In the complex:..